The story of Mayfield is the story of Manchester. The story of the modern Mayfield starts when, in 1782, Thomas Hoyle established the Mayfield Print Works on the edge of Manchester on the site of a former country house. Hoyle chose Mayfield because he needed ready access to the water provided by the River Medlock. 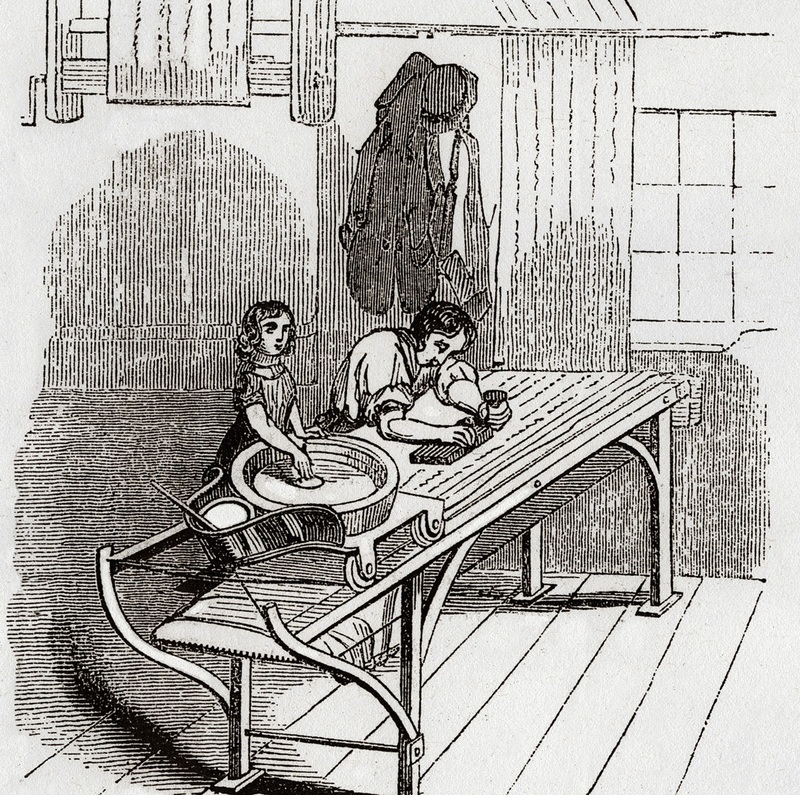 First Hoyle, then his son Thomas Hoyle Jr, then Jr’s three sons-in-law, mastered methods of printing colours (particularly purple) onto calico cloth. Purples were a huge technical challenge at the time meaning the use of the colour was preserved for the rich and influential, principally the clergy. Pushing the boundaries of the day’s scientific knowledge, Hoyle’s techniques made exquisitely patterned purple cloths available to the growing middle classes, and made his fortune. These prints achieved brand name status by the middle of the century and visitors to the Mayfield works marvelled at a mile of calico being printed in an hour, a symbol of industrial achievement through technology. This is the time of Manchester as Cottonopolis, when the city’s wares were transported around the world generating incredible wealth and unleashing the productivity of the tens of thousands of modern workers. 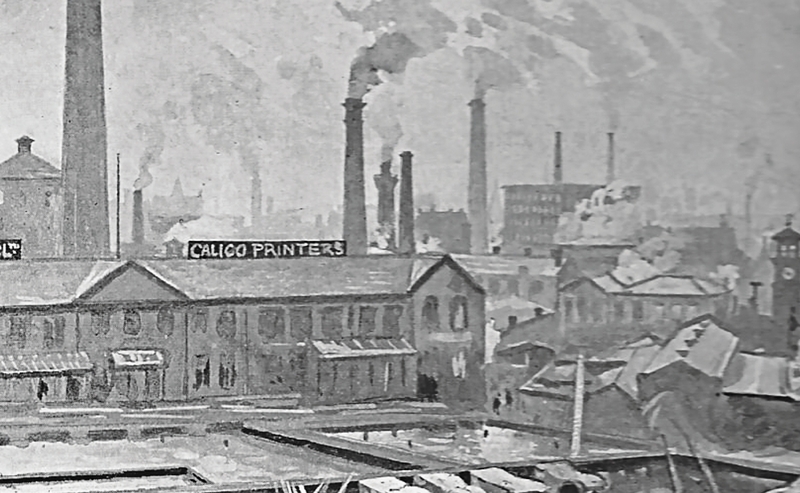 Over production of calico led, in 1899, to the creation of the Calico Printers’ Association in a bid to maintain prices. Its wealth can be seen in the grandeur of its purpose built HQ: the resolute St James’ Building which stands on Oxford Street to this day. But the winds of the economy were changing as cheaper imports eroded prices. 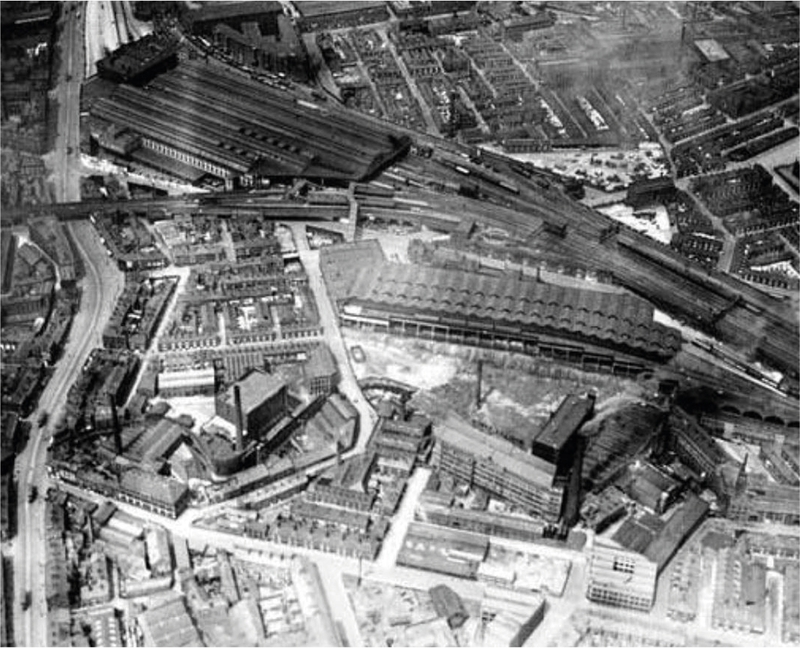 At the start of the century the Mayfield Print Works were demolished and replaced with the new Mayfield train station which opened in 1910. Hoyle, though, is still remembered today in the street name which links Mayfield to the Mancunian Way. Increasing passenger numbers from across Manchester’s southern suburbs meant a new station was needed to alleviate pressure on London Road (Piccadilly) station. Five platforms were provided and passengers could reach London Road via a high-level footbridge. Mayfield suffered the effects of bombing during World War II, when it was hit by a parachute mine in December 1940. Through the golden age of steam, Mayfield was a relief station mainly used by extra trains and suburban services to the south of Manchester. 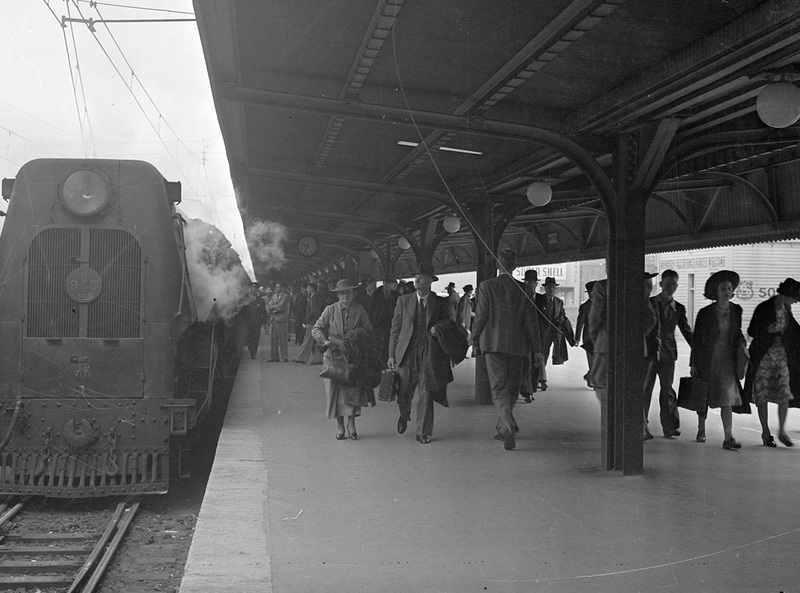 It came into its own for a brief period during the electrification and modernisation of what was to become Piccadilly Station in the late 1950s, when many services were diverted to it. The station operated until 1960 when additional capacity at Piccadilly meant the overflow station was now redundant. Its platforms fell silent. 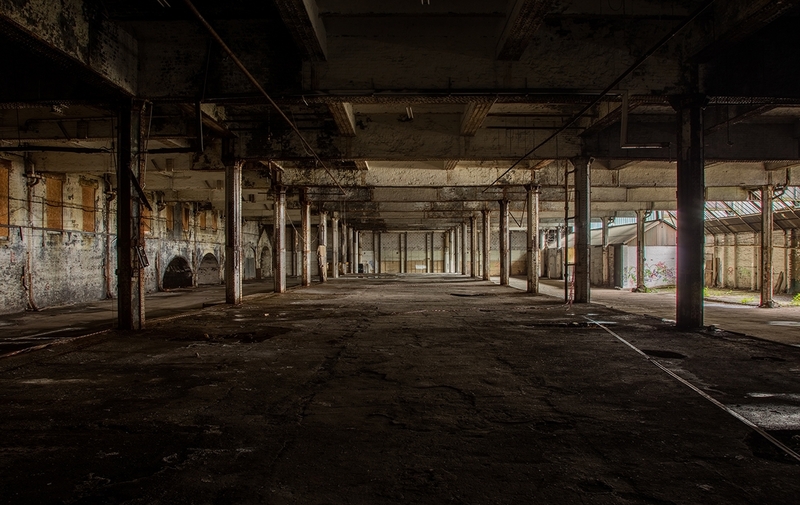 The buildings sat unused until they were re-opened as a parcel depot in 1970. The easy access to the rail network meant it was a natural place for the Royal Mail to set up. This operated for 16 years until Parcelforce, Royal Mail's parcels division, decided to abandon rail transport in favour of road haulage. Mayfield fell silent once again in 1986, with the tracks removed three years later. The Mayfield site has been quiet ever since, with the odd exception - the sorting office was briefly reused as an indoor karting track and the station’s interior was used in Prime Suspect and also as a double for Sheffield railway station in The Last Train. 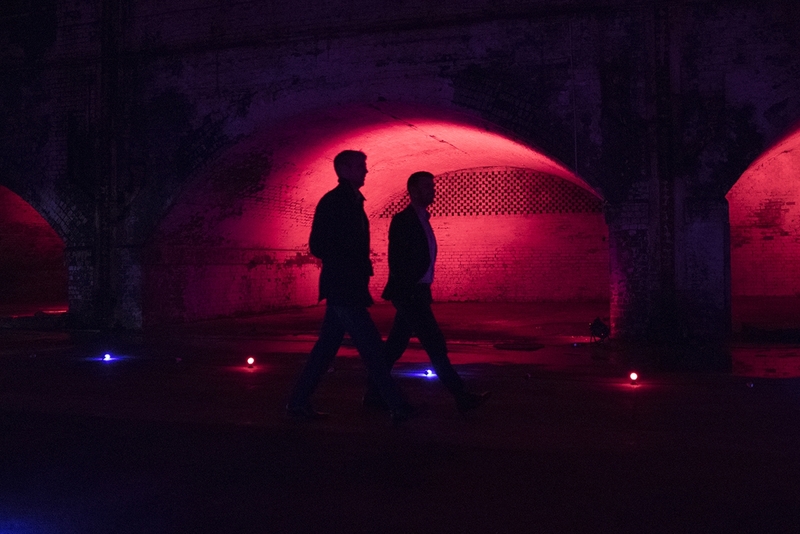 The site was also used for Manchester International Festival in July 2013. After years of abandonment and many proposed development schemes, the station roof was dismantled in February 2013. U+I was formally appointed as the development partner for an £1.1 billion regeneration of Mayfield three months after being selected as the preferred bidder. The station buildings and platforms still remain and the existing heritage assets of the area will form a central part of the soulful, authentic regeneration of the area. Along with the printworks, station and depot, Mayfield has been home to a Victorian bath house, the city’s morgue and innumerable semi-official beer houses. Its history is rich and diverse; troubling and industrious. It has followed the contours of the city’s growth and meandered through time like the Medlock itself. A new era is now dawning for Mayfield. Its next chapter is about to be written. The doors of Mayfield were opened to the people of Manchester once again. In June, the weekly street food fair – GRUB – welcomed regular visitors to the site for the first time in a generation. Regularly drawing in around 2,000 visitors every weekend, Mayfield has once again reverberated to the sound of conversation and laughter. 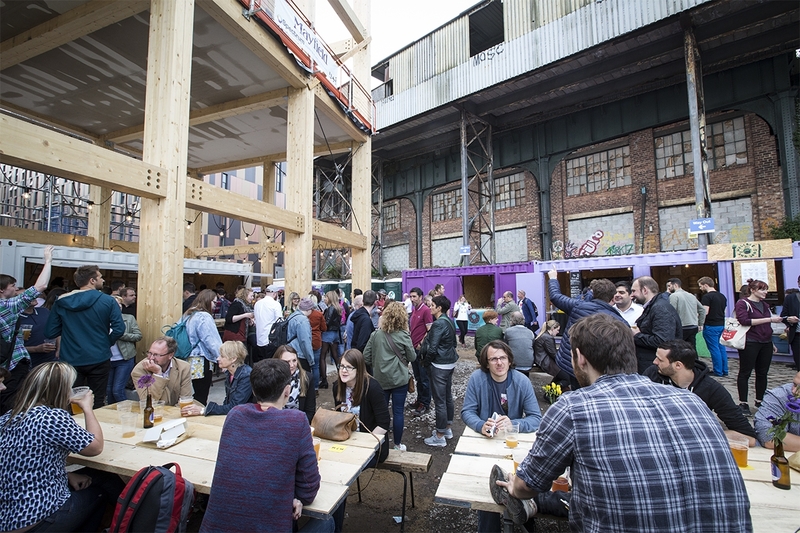 Mayfield’s depot building also hosted two events from the year’s edition of the Manchester International Festival along with the finals of the British Street Food Awards, as well as events in the historic railway arches such as the Manchester Food and Drink Festival. The launch of U+I’s onsite offices are celebrated with a party in the depot. The offices instantly provide space for people to be involved in discussions about Mayfield’s development. The Mayfield Partnership teamed up with well-known tour guide and author, Jonathan Schofield, to give Mancunians and visitors a rare opportunity to view this extraordinary location. 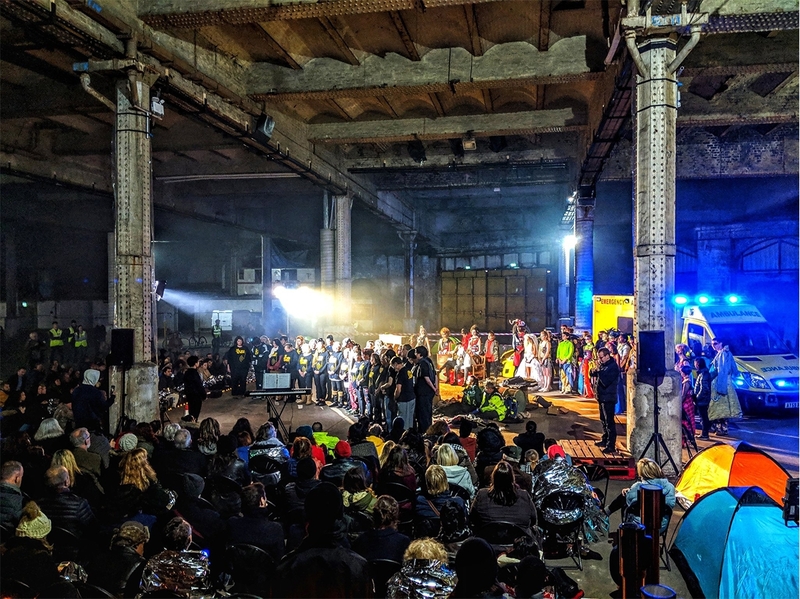 A Manchester International Festival event, Everything That Happened and Would Happen by German composer and artist Heiner Goebbels, received its world premiere here in October 2018. The Warehouse Project’s meticulously crafted collaboration with BBC 6 Music’s Mary Anne Hobbs, ‘Special Edition’, brought an immense musical offering with standout shows from across the musical spectrum. David Tovey and the Museum of Homelessness brought Man On Bench Fairytale to Mayfield, in a production developed by people who’ve faced homelessness. Grub were back at the gatehouse for a second year, and also opened Fairfield social club.